The probe found that the missile launch codes were outdated and remained secure at all times. But the July 12 incident comes on the heels of a series of missteps by the Air Force that had already put the service under intense scrutiny. "This was just a procedural violation that we investigated," said Air Force Col. Dewey Ford, a spokesman at Peterson Air Force Base in Colorado Springs, Colo. "We determined that there was no compromise." 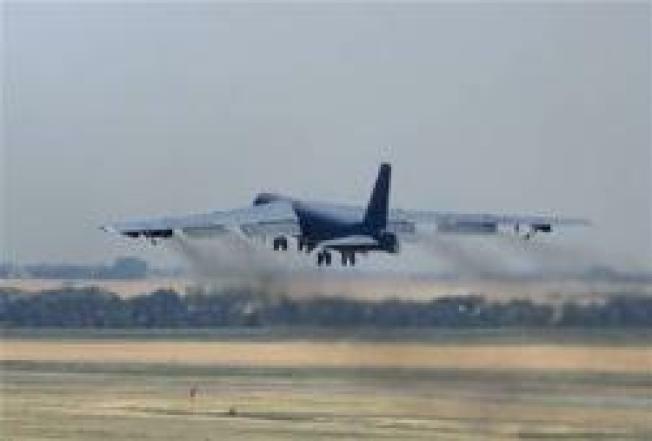 The lapse, which involved a crew based at Minot Air Force Base, was serious enough, however, to prompt an investigation by the 91st Missile Wing, in conjunction with codes experts at the 20th Air Force, U.S. Strategic Command and the National Security Agency. And it delivers another blow to the beleaguered Air Force. Last month, Defense Secretary Robert Gates announced a sweeping shake-up of the Air Force leadership, blaming them for failing to fully address a series of nuclear-related mishaps. At the time, Gates said his decisions to sack the Air Force secretary and chief of staff were based mainly on the blistering conclusions of an internal report on the mistaken shipment to Taiwan of four Air Force fusing devices for ballistic missile nuclear warheads. He also linked the underlying causes of that slip-up to the August incident in which a B-52 bomber was mistakenly armed with six nuclear warheads and flown from Minot Air Force Base to Barksdale Air Force Base in Louisiana. No one has been punished yet in the latest Minot incident involving sleeping crew members. A continuing review by Minot commanders will determine what, if any, actions will be taken against them. The three crew members, who are in the 91st Missile Wing, were in the missile alert facility about 70 miles from Minot. That facility includes crew rest areas and sits above the underground control center where the actual keys can be turned to launch the ballistic missiles. Ford said they were waiting to get back to base "and they fell asleep." The investigation concluded that the codes had remained secured in their containers, which have combination locks that can only be opened by the crew. The containers remained with the crew at all time, and the facility is guarded by armed security forces. Sen. Byron Dorgan, D-N.D., called the series of nuclear missteps involving Minot Air Force Base disappointing and unfortunate. "This appears to me to be an incident in which codes were not compromised but some rules were broken, and those broken rules were reported," Dorgan said. "This does not appear to me to be equal to flying an airplane loaded with nuclear weapons halfway across the county — that was extraordinarily serious. "I don't think this is an issue about the base — I think it's an issue about personnel," Dorgan said. "There have obviously been management and command problems at this base and the Air Force has made some command changes to respond to it." Col. Bruce Emig was ousted following the August flight of the B-52 bomber. "The violation was reported and it required reporting, and the airmen did their duty to report it," Dorgan said, referring to the latest incident. North Dakota Gov. John Hoeven, who spoke with Air Force officials Thursday about the matter, said the Minot base is getting extra scrutiny because of its embarrassing mistakes. "They told me procedural violations do occur periodically," he said. But Rep. Ike Skelton, D-Mo. and chairman of the House Armed Services Committee, called the incident very troubling. "The new Air Force leadership, when confirmed, must take decisive and urgent steps to restore the culture of respect that our strategic weapons deserve and our national security demands," said Skelton. Gen. Norton A. Schwartz, has been nominated to be the next Air Force chief of staff, and Michael Donley, for secretary. During their Senate confirmation hearing this week both men vowed to work to restore trust and confidence in the service. The 91st missile wing has control of several facilities, including 150 intercontinental ballistic missiles.